In the world and industry of cryptocurrencies, the big names often dominate the news, where in our case Bitcoin and Ethereum dry out the news everyday. But that all depends on how deep and well you research through the market. The just started person probably has heard only of Bitcoin, while the casual observers will likely know Ethereum, and then invested watchers will certainly know a whole lot more. But Ripple, the third incoming of the Top cryptocurrencies down from ETH by market cap, is now emerging on the scene with massive gains and causing excitement among investors. This makes the Ripple price prediction 2018 and investing in Ripple some of the hottest topics in the investment world. When it comes to the Ripple XRP price, the numbers are all rather positive so far, which is why investors are so interested in the cryptocurrency. Diving deeper into the numbers, Ripple is currently listed on 30 exchanges. The San Francisco-based startup also claims that there were $11.06 billion worth of XRP transactions in the second quarter of 2017. But beyond those promising numbers, the Ripple coin is unique in quite a few other ways. First, the coin’s parent company owns most of the Ripple coins, and there is no way to mine the coin, unlike in BTC and ETH. Second, the company is very focused on international payments, rather than more nebulous claims by Bitcoin, like attempting to be the currency of the future. Ripple is instead focusing on specific use-cases, and that is the type of specificity that investors like to see. After all, focus instills confidence among market-watchers, so that’s another boon to the Ripple price prediction 2018. With all that going for it, does that make the Ripple coin an attractive investment opportunity? And should you care about Bitcoin volatility when looking at the Ripple XRP price? 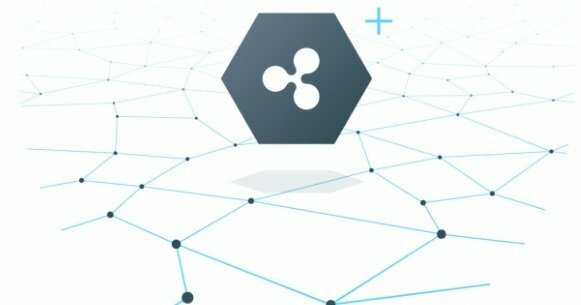 If you’re bullish on the cryptocurrency market, then Ripple should be on your radar, especially based off of a pretty positive Ripple price prediction 2018. If, however, you believe that cryptocurrency is in the midst of a bubble (as some analysts do), then Ripple is likely to suffer from the eventual popping of said bubble. But assuming you’re positive on the cryptocurrency outlook and all the baggage that it entails, including hacking scandals and bubble warnings, Ripple might be one of the better investment opportunities around. Besides, while the cryptocurrency market certainly has its issues, there are very few places that an investor can find such potentially high returns on investment that we’ve witnessed in cryptocurrency. While we’ve already laid out some key differences that separate Ripple from other coins like Ethereum and Bitcoin, is there anything makes investing in Ripple a safer bet versus going for bitcoins or ETH? The answer is yes. Perhaps the best thing that Ripple has going for it is that it’s seen as—perhaps legitimate is not the right word—having a sheen of stability on it that is certainly not present in Bitcoin and somewhat lacking in Ethereum. Now, by stability, I don’t mean the Ripple price. That is likely to fluctuate in as radical a fashion as the cryptocurrency market on the whole has for the past few years. That means strong highs, rapid gains, but equally rapid sell-offs and falls. Instead, by stability, I’m referring to the fact that the company is just that—a company. It has executives, a marketing department, employees. This all gives it the optics that it’s not some fly-by-night computer whiz trying to make a quick buck off a very speculative market. And compared to its two larger siblings, BTC and ETH, that’s a huge boon in its favor. Bitcoin famously doesn’t have any sort of centralized authority. After all, the cryptocurrency is supposed to be a response and alternative to centralized authorities controlling currency. The creator of Bitcoin isn’t even known, and while many people have their hunches and beliefs, the whole system is pretty fluid and therefore suffers from that Bitcoin volatility reputation. Ethereum is only slightly better, with an actual face to put to the name of the creator. In this case, it was a whiz-kid computer nerd who came up with an idea on how to expand and improve cryptocurrencies. While many support the organizational structure behind ETH, it still has quite a few holdouts that favor the Bitcoin model, and this has caused trouble for the coin in the past. In fact, when ETH leaders came in and instituted a fix to prevent a hacking loophole, some owners of ETH were so against the idea of a centralized authority that they splintered off and formed a rival cryptocurrency called Ethereum Classic, or ETC. And on top of that, the prodigy who started Ethereum—Vitalik Buterin—is considered to be one of the primary drivers of the ETH price. So much so that when a rumor was started on 4Chan that the young man had died in a car accident, some exchanges saw the value of ETH drop so dramatically that the price fell from hundreds of dollars to less than a dollar in a single day. Of course, all this was corrected when it was later revealed that he was alive and well, but when an entire company is hanging on the life of a single person, it doesn’t exactly lend confidence to investors. Which brings us to why Ripple may be the best investment of the three. The company does not have a figurehead whose life could dictate the value of the coin. And it doesn’t have the lack of leadership around which Bitcoin models itself. And Ripple is taking things slow. The company only recently revealed plans to begin selling its coins, and this led to a spike of interest and investment. The company also has an air of legitimacy due to some of its past actions. For instance, last year, Ripple announced the setup of its first interbank global payments group, which included big name banks like Bank of America Corp (NYSE:BAC), the Royal Bank of Canada (TSE:RY) and Westpac Banking Corp (ASX:WBC). These types of moves go a long way towards building goodwill and investor confidence. Where does that leave us with the Ripple price prediction 2018? At the moment, it’s likely that Ripple will continue to mirror ETH and BTC, gaining in step with the market. It won’t be until the company begins firing on all cylinders and the cryptocurrencies transition from speculative buys into actual proof-of-concept investments by the larger investment community that we’ll see major differentials between companies. But in terms of a long-term buy-and-hold strategy, which is how I believe it is best to play the market considering the propensity for wild swings, then the Ripple XRP price is probably one of the friendlier buys investors could make. After all, remember that Ripple holds about $7.0 billion in terms of market cap but is still valued at far less than a dollar. A Ripple coin, as of the writing of this piece, trades for $0.17, which is far cheaper compared to the $2,000-plus BTC or the $200.00-plus ETH. Going off what we know, there’s a lot of good reasons to be positive about the Ripple coin. The company leadership is more solid than Ethereum and Bitcoin, has a strong market cap, a focused use-case for its coin, is less ideologically deadlocked than its closest siblings, and is very affordable right now. While the cryptocurrency market as a whole is crazy right now, with radical shifts in fortune from one day to the next, that only means that the ability to make money is there for the right type of investor with the right type of strategy. The market as a whole is not for the faint of heart, but if you believe in cryptocurrencies and can stomach the volatility, then the Ripple price prediction 2018 is certainly looking positive, and investing in the Ripple coins could be one of the better moves you make all year.